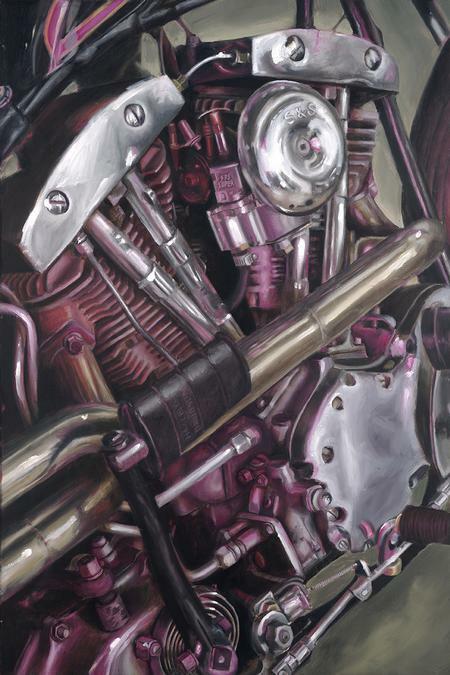 1967 Harley Davidson Shovelhead painting. 24"x36" oil on canvas. Prints are available in the store section. Painting also available in store section.